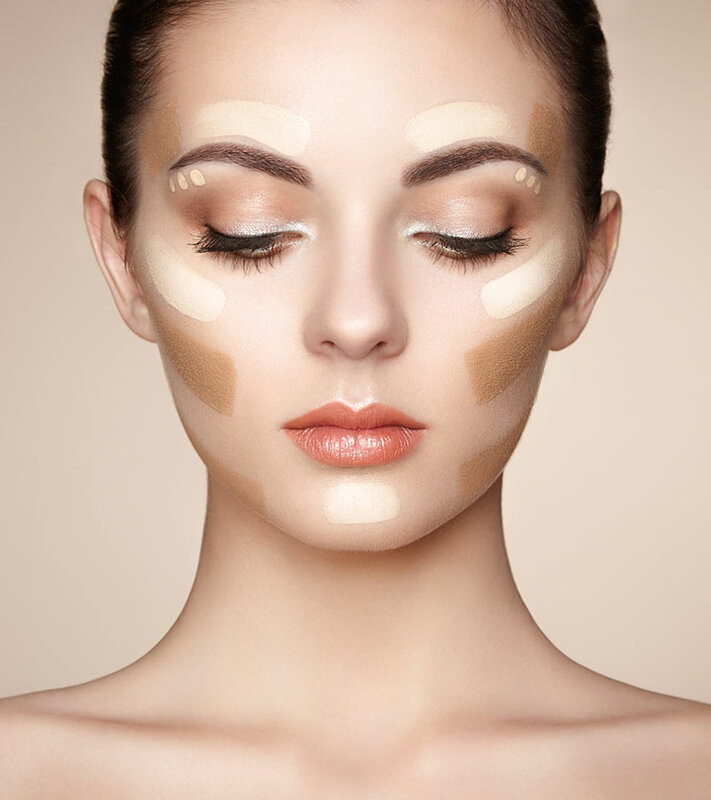 Foundation is the basic requirement for any makeup to look perfect. The right foundation gives a natural looking face and a perfect finish. Determine your skin color to the T for choosing the right foundation shade. 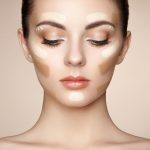 Here are the top 10 natural foundations that give you a best and natural finish. This foundation has a creamy texture that quickly illuminates the skin and gives flawless fair finish. This perfectly covers the scars, uneven skin tone and gives a natural looking face. This is a lightweight foundation that doesn’t look heavy on face and at the same time, moisturizes the skin. This doesn’t get shiny with time and contains SPF 15. 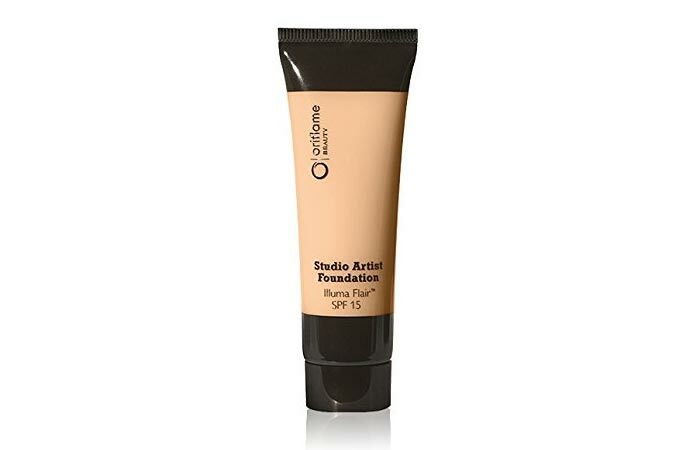 Oriflame Studio Artist Foundation (natural) comes in a bottle and is suitable for all skin types. This contains cucumber extracts that protects your skin from sun damage. It is very lightweight and100% water based, hence is best for everyday wear. This also has Vitamin E that gives very natural and flawless finish with perfect coverage. 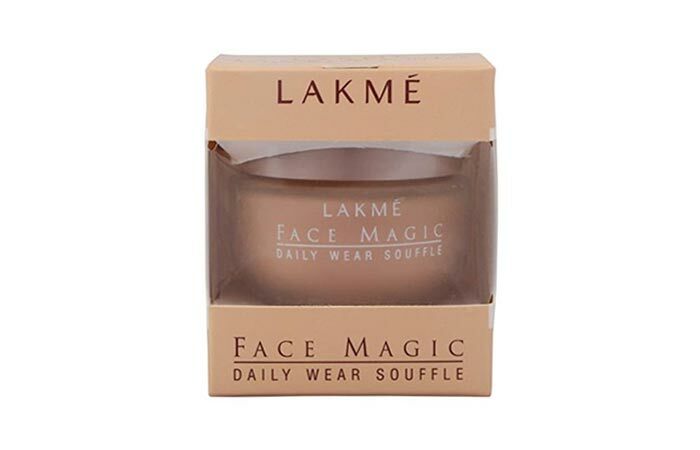 This makes your skin look dewy; it’s a daily wear soufflé. This doesn’t make your skin look oily or clog pores leading to breakouts. This foundation from Oriflame is very lightweight and gives silky, smooth and matte finish. This has a good lasting power and contains micro silica shells. This helps to make your skin look matte by absorbing extra oil. This is a best natural foundation for combination or oily skin. It has a creamy texture that makes it easy to spread and apply evenly. 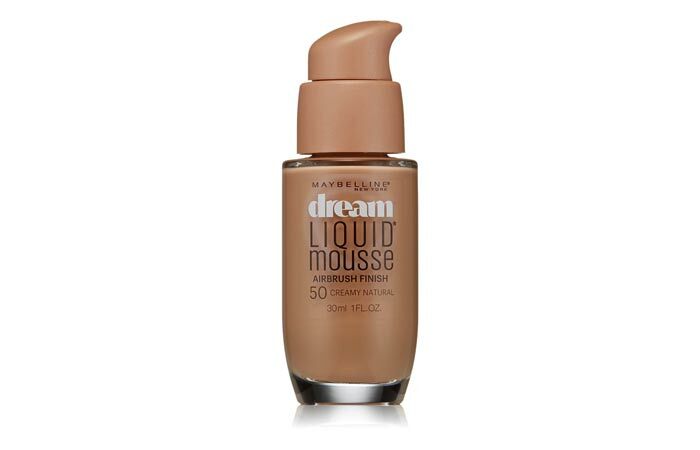 Maybelline Dream Liquid Mousse foundation gives radiant and flawless looking skin. This foundation has a smooth creamy texture and gives silky finish. This is suitable for both normal and sensitive skin for the perfect looking skin. It provides nourishment to the skin and is fragrance-free. This comes in liquid form and is lightweight, so is easy to apply. It is non-comedogenic and doesn’t clog the pores leading to breakouts. It is dermatologically tested, making it safe to use without causing any allergy or skin irritation. Oriflame Very Me Smoothie foundation provides nourishment to your skin and makes it look smooth. 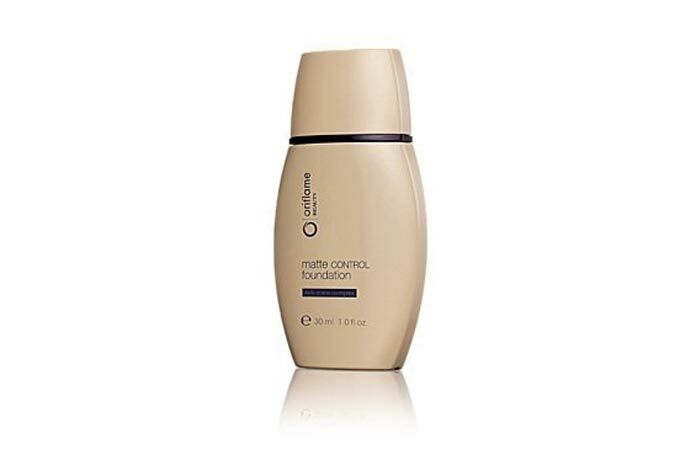 This contains berry and yogurt extracts, which help give a perfect flawless finish to the skin. This comes in a bottle and is suitable for all skin types. It has a creamy texture making it easy to apply and spread. 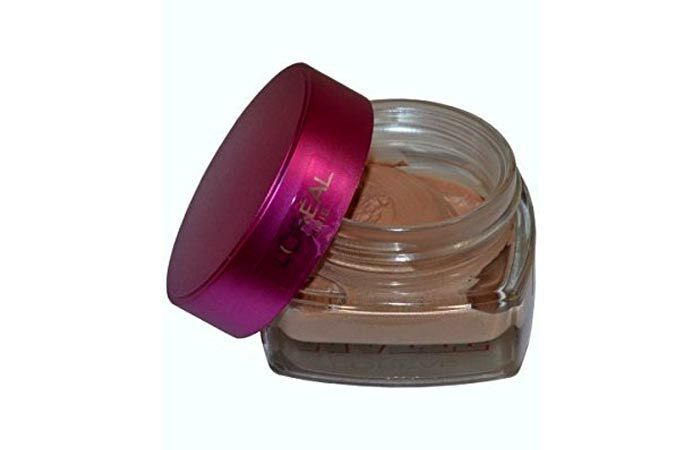 Loreal Paris Feather – Light Souffle Matte Morphose foundation comes in a jar and has a mousse texture. This makes it one of the best foundations for daily wear with the ease of application. This gives a perfect matte finish and helps in reduction of fine lines. 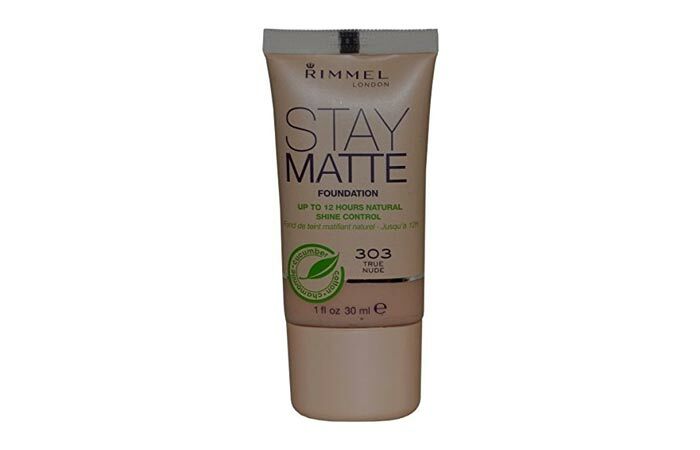 Rimmel London Stay Matte Foundation (Natural Beige) has the longest stay power of 25 hours. This keeps your skin safe from heat and humidity, while giving a perfect matte look. This contains mineral complexes and aqua primer which help hydrate the skin. It is lightweight is best suitable for all day wear. 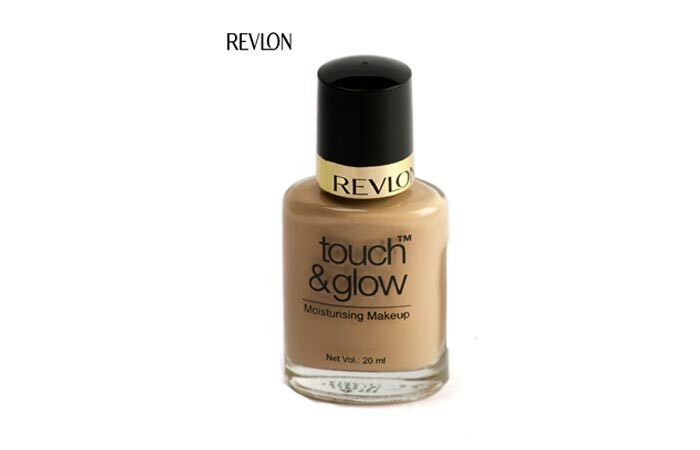 This Glow Moisturizing Makeup Foundation quickly brightens the face and gives a dewy finish. It makes your skin look flawless and healthy, thanks to its unique ingredients. It gives light to medium coverage and hides the spots on the skin. This is a water based foundation and leaves your skin soft and supple. This doesn’t clog your pores and hence there are no breakouts. This foundation is very lightweight and comes in a gel-powder texture. This has a staying power of 7 hours, after which it gets shiny. This also helps in minimizing the pores as it has optix light-diffusing technology. This makes your skin soft, smooth and reduces the fine lines. This is available in a tube container which makes it easy and hygienic to apply. 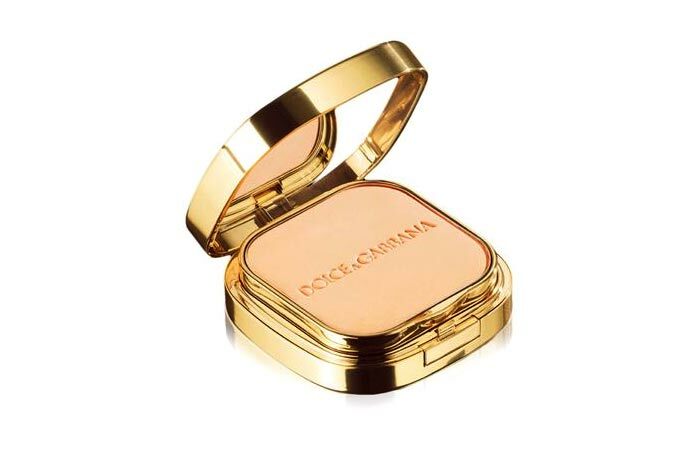 This foundation from Dolce & Gabbana comes in a powder form and can be used either wet or dry. This gives a great coverage, reduces fine lines, wrinkles and many such flaws. This makes your skin beautiful and dewy when applied wet. When applied dry, this gives a soft, matte and sheer base. You can find this in many shades as well. The natural shade is best suited for medium skin tone. How To Choose The Best Foundation For Asin Skin? How To Apply Liquid Foundation Perfectly?